When Pantone releases their new color of the year, designers, planners, color enthusiasts, decorators and all those who have an interest in the creative industry tend to sit up and listen. This year's new pick, Radiant Orchid, is the prettiest or purples, almost a bright lilac shade with a hint of pink. 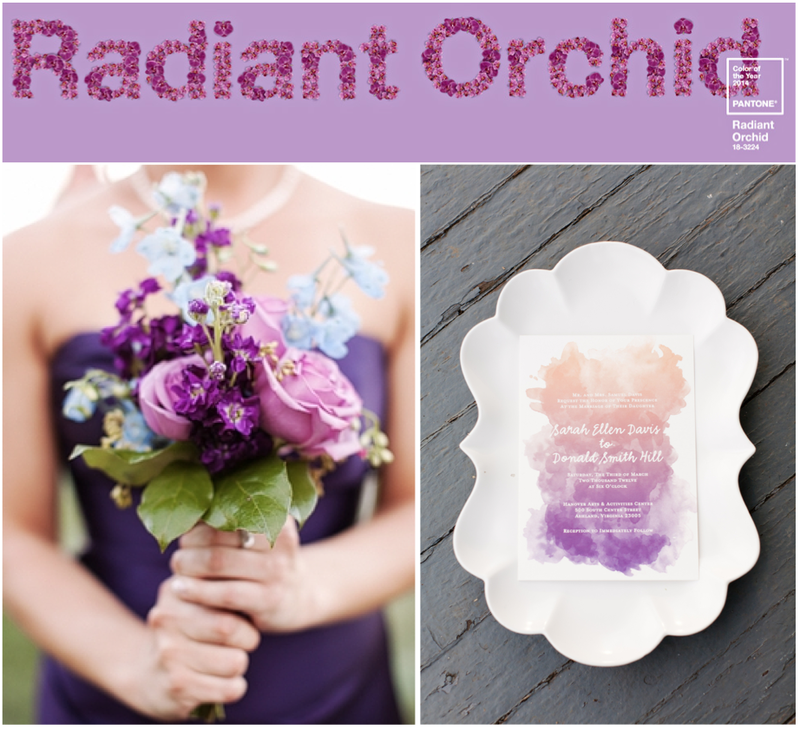 Something tells me that there is a slim chance newly engaged ladies and gents plan to order up a radiant orchid wedding. I do foresee growth in a the purple category as a whole, bringing back gorgeous shades of plum, ombre details spanning from light lavender to deep blackberry. The color, when on its own, leans a bit on the feminine side. Paired with a deep gray, midnight navy, even hunter green, would bring the overall color theme back to a more neutral place. So! 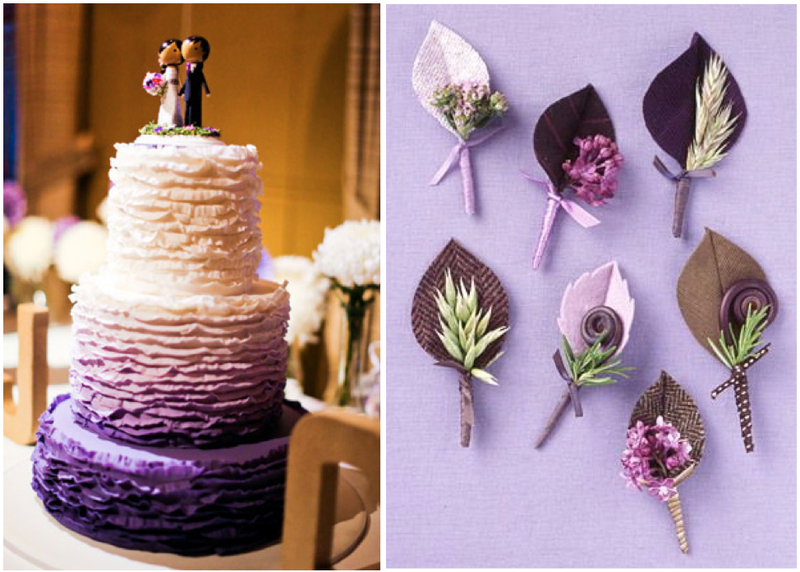 New brides to be, hostesses, and fashionable types - how will you incorporate radiant orchid into your life in 2014? 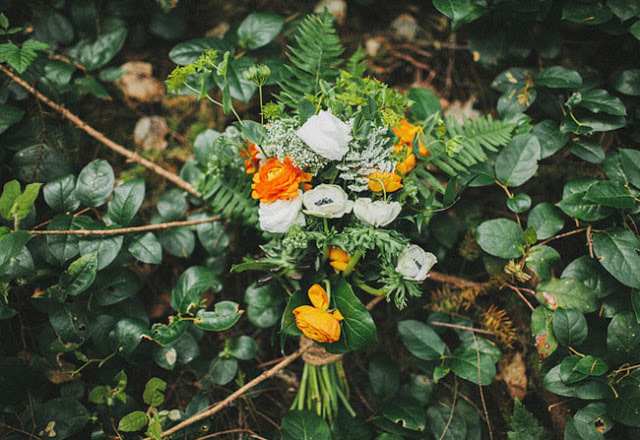 This week we will be oogling some gorgeous florals. 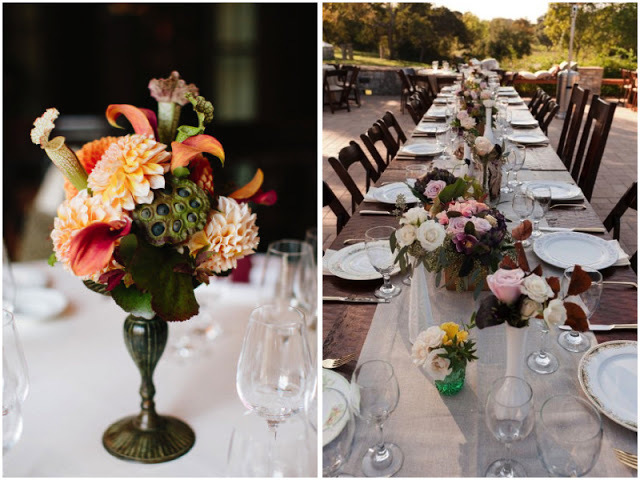 I've been so smitten with organic styled bouquets, centerpieces, arches and boutineers. Long gone are the days where it was proper and preferred to have tightly packed roses displayed in the shapes of pew rounds, and in square glass vases. Instead, bouquets are beautiful displays of entire gardens, intertwined with ferns, cactuses, baby's breath, and more. The height is varied between many of the flowers, as are the shapes, colors, size of the blooms. Better yet, bouquet's can be made of 5 pieces or 30, and any number in between. A great choice for couple's looking to lower floral costs, or make their budget stretch. In addition to the above, what flowers or plants have you been loving lately?